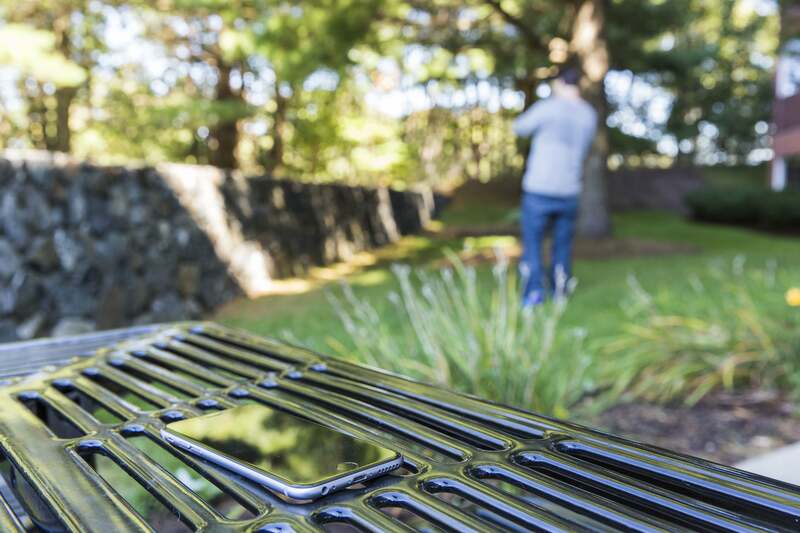 There's none better, with or without LTE. Apple Watch Series 3 has relieved my Forgotten Phone Anxiety. You know the feeling: You reach your destination and paw at the outside of your pocket to feel the phone-sized lump and it isn’t there. And you panic. Mind you, my stomach still drops when I realize my phone isn’t with me (even times when I had purposefully left it at home), but now my fears quickly subside. With an LTE-equipped Apple Watch Series 3 on my wrist, I don’t need to turn around and head back to my house. I know that if someone is trying to get in touch with me, they can, and if an urgent email comes in, I can answer it. 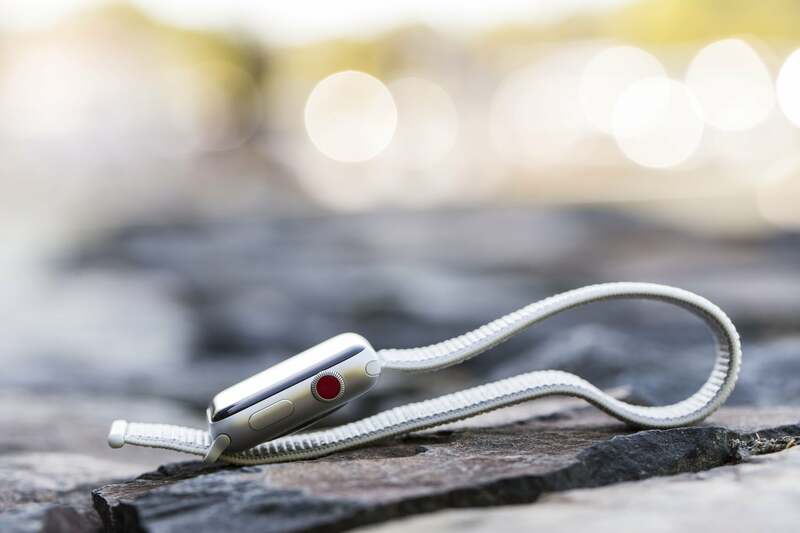 Apple Watch Series 3 is the gold standard of smartwatches, even in silver aluminum. That being said, I didn’t need more than a couple days with my LTE-equipped Apple Watch Series 3 to see that it’s not meant to be away from an iPhone for very long. Its main selling point might be independence, but it’s still a generation or two away from being a full replacement for your iPhone. But man is it close. 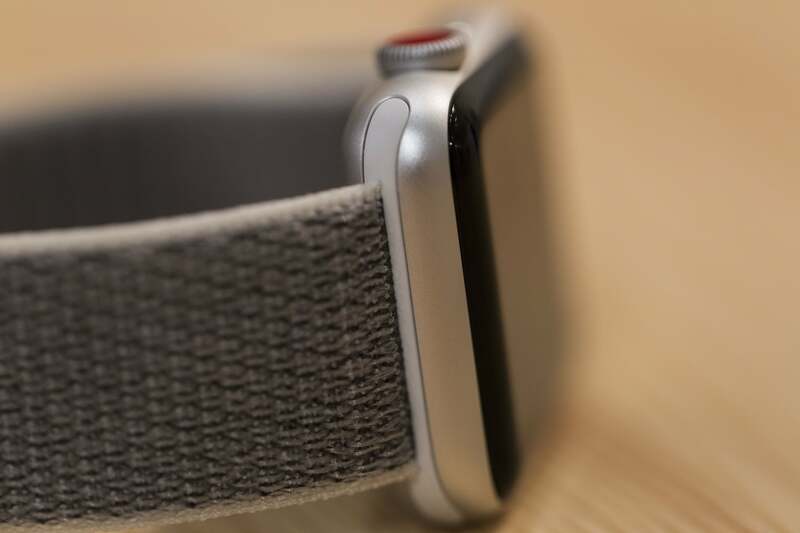 Reviews of Apple products generally devote many words to design, but there’s not a whole lot to say about Apple Watch Series 3. 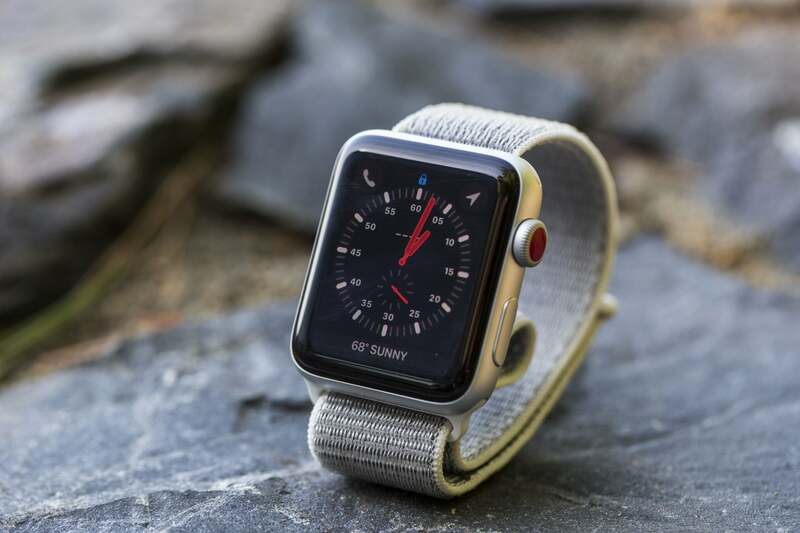 It’s the same dimensions as Series 2 (38.6 x 33.3x 11.4 or 42.5 x 36.4 x 11.4 millimeters, depending on which size you choose), and there’s just one new color, gray, in the $1,299 ceramic Edition model, as well as a tweaked gold aluminum to match the iPhone 8. That means all old bands, stands, and chargers will work fine. Good news band collectors: You can still mix and match old bands with Apple Watch Series 3. If you want to pick nits, it’s about a millimeter thicker than the Series 1 model Apple is still selling. But that’s with more storage (16GB versus 8GB), a bigger battery, GPS, 50-meter water resistance, a barometric altimeter, and, of course, cellular. 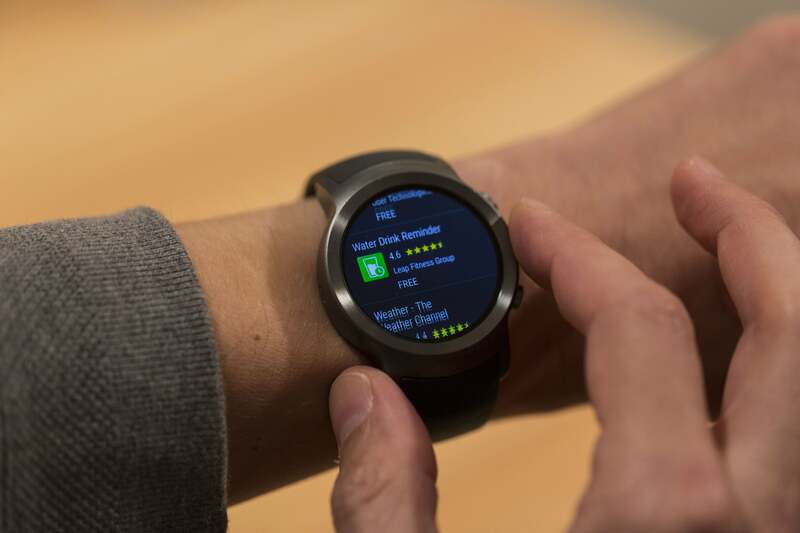 I’ve tested several LTE-enabled Android Wear watches that make the 42mm Apple Watch look small, so putting such capabilities in the 38mm model is nothing less than a remarkable feat of engineering. Some people are likely to fixate on is the red dot on the Digital Crown. There doesn’t appear to be any technical reason for it, so it’s safe to assume it’s strictly there to distinguish itself from the non-cellular models. And that it does. I never really noticed the color of the Digital Crown before, but the red circle was hard to miss against my test model’s silver aluminum body and seashell sport loop band. Yep, that's a red dot all right. I kind of like it, but I could see why people despise it so much, especially if you’re the kind of person who constantly changes bands. It’s a curious design choice, but I wouldn’t be surprised to see similar flourishes on future models. Apple Watch’s design is already iconic, and I don’t see a massive redesign in the cards for Series 4 or 5. Apple positions its watch as jewelry like a Rolex or Omega, so the familiarity of the design is important. 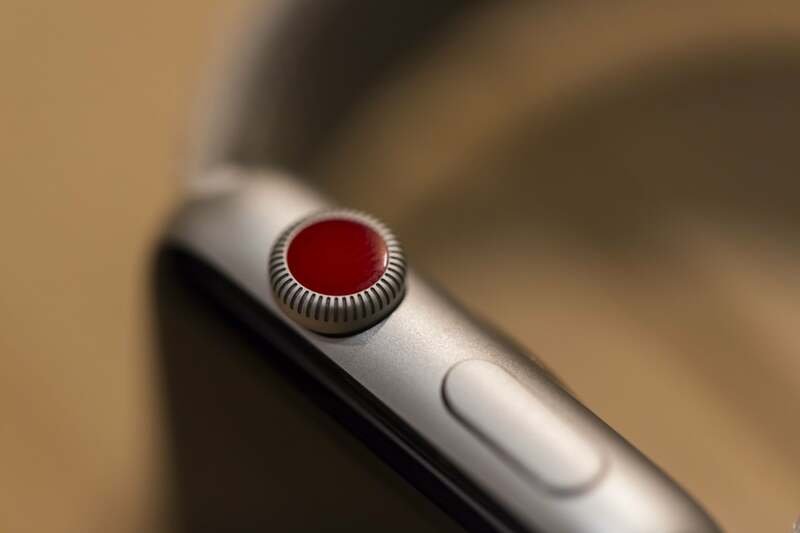 The red dot is a perfect way to showcase newness, even status, without changing what makes Apple Watch so recognizable. While it might look the same as models that came before, Apple Watch Series 3 couldn’t be more different on the inside. Along with LTE, there’s also a new S3 processor and W2 wireless chips, which give the Series 3 Apple Watch a tremendous speed boost. It only takes a second or two for apps to refresh with Apple Watch Series 3. Navigation and animations are much smoother now, but most importantly, apps open much quicker. The speed of third-party apps was a pretty major pain point with previous generations of Apple Watch (particularly the original model, which most people will be upgrading from), and the new internals make a huge difference. I didn’t experience any lag when launching stock apps, and third-party ones rarely showed the spinning loading ring while updating. Even raise-to-wake seems quicker (though the lack of an always-on display is still a bummer). That makes Apple Watch Series 3 much more of a standalone device, even without LTE. Where I mostly relied on my old Apple Watch for quick notifications, by the end of my testing I was instinctively using my Series 3 to respond to messages, check sports scores, even read headlines. Siri’s responsiveness is particularly impressive, but everything from stocks to sports to weather now load within a second or two. By the time the S4 chip comes around, watch apps will be just as fast as the ones on our iPhones, if not faster. Apple claims the same 18-hour battery life with either the LTE or non-LTE Series 3 Apple Watches, but as with all battery claims, that doesn’t tell the whole story. Apple doesn’t like to give technical specs for its batteries, but iFixit’s teardown found a 279 mAh cell inside the 38mm LTE model, a minuscule upgrade over the Series 2’s 273mAh battery. iFixit didn’t open a 42mm model, but presumably its battery is also a little larger than the Series 2 model’s 334mAh one. Apple Watch Series 3 (center) is the same size as the original Apple Watch (right) and noticeably smaller than the LG Watch Sport (left), but it still gets better battery life than both of them. Granted, those numbers deteriorate pretty quickly when relying exclusively on LTE. When I left my phone at home and used my watch for everything—including a lengthy stretch of listening to music, a couple Apple Pay purchases, driving directions, and liberal use of the Siri face—I barely got through 8 hours. When I made a straight hour of phone calls, my battery dropped to 68 percent. An hour of music mixed with messages and emails cost a little more than 10 percent. Even when playing music for long stretches, you'll still get great battery life with Apple Watch Series 3. But that’s not a typical use case. When jumping between phone and LTE connection as most people will do, I was easily able to make it through a full day. With the exception of making calls and listening to music, I measure my Apple Watch interactions in seconds, not minutes, but even when using it far more than I normally would (both tethered and independently), I never needed to resort to Power Reserve mode. 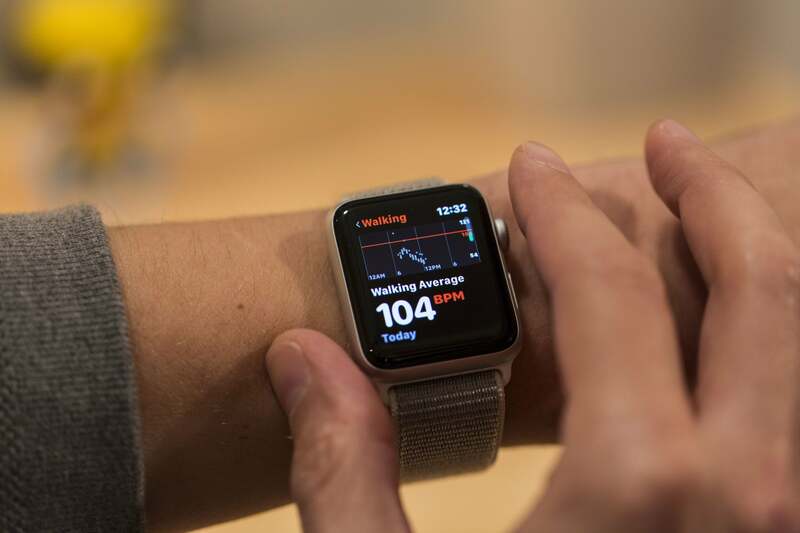 Apple has packed its Series 3 watch with some new fitness features as well, and it stacks up well to Fitbit’s New Ionic watch, with an expanded and enhanced Workout app, and a barometric altimeter designed to measure elevation. Older watches still measure flights climbed, but it’s that much more accurate on Apple Watch Series 3. The new Heart Rate app isn't just for athletes. Apple hasn’t actually updated the heart-rate sensor for its Series 3 watch, but it’s extracting a whole lot more out of it. Launch the Heart Rate app, and you’ll get a bunch of new data, including your current beats-per-minute reading as well as your resting rate and walking average. Even as a non-athlete, I found it useful, especially the feature that alerts you to any abnormalities (thankfully I didn’t get to test it, however). But music is Apple Watch Series 3’s killer new fitness feature. All throughout watchOS 4 there are little touches that make it easier to listen and control your music: You can swipe left in the Workout app to bring up music controls, a Now Playing box appears on the Siri watch face, and the music app will automatically sync playlists while charging. However, you still can’t play music through the Apple Watch’s speaker, and proper LTE streaming won’t arrive until the upcoming 4.1 update. All of the above upgrades are nice, but Apple Watch Series 3 is all about one thing: its cellular connection. For the first time, an Apple Watch can operate independently of your phone, and it’s a liberating, transcendent experience... most of the time. The complication on Explorer would be great as an option on other watch faces. I’ve used a variety of LTE watches from Samsung, LG, and ZTE, and Apple Watch Series 3 is the first that delivers on its promise. Setup with the eSim and my Verizon account was remarkably simple, taking less than a minute, and the only setting to speak of is an on/off toggle. LTE simply takes over when your watch is out of range of your phone. I was very aware of when it was running at first, but after a couple days I stopped obsessively checking to see if my watch was connected. It’s not perfect, however. I didn’t have anywhere near the constant problems with unauthenticated networks that some early reviewers experienced, but there were still instances where my watch showed a red “x” while roaming to indicate that it was disconnected from the cellular network. Resetting my phone’s network settings and deleting some old saved networks my Mac helped immensely, but that’s not something you should have to do to ensure a stable connection. Apple issued the 4.0.1 update while writing this review to correct it, but it didn't fix some of my other occasional problems. In poor coverage areas, I found that the watch routinely dropped its connection where my phone was able to hang on with a bar or two. If I was on a call when I left my house, it consistently dropped when switching from Wi-Fi to cellular. And once it required a hard reset to get LTE going on my watch again again. In strong coverage areas, however, my watch worked great. Overall my issues were infrequent and as expected for a first-gen product. I did want the ability to add a cellular complication to any watch face. The antenna isn't nearly as strong as it is on the iPhone, and unless you’re using the Explorer face, you can’t quickly tell how strong your connection is without heading into the mini Control Center first. I'm hoping this is a new feature in watchOS 4.1, along with a fix for my Wi-Fi handoff issues. When you walk away from your phone with an LTE Apple Watch, you don't need to freak out anymore. But even with the above hiccups, LTE on Apple Watch Series 3 is game-changing. I routinely left my phone on the charger while leaving the house for quick errands or to pick up my son from school, and my watch dutifully kept me up-to-date with notifications. I never missed a message, call, score, or breaking news brief, and Siri’s improved responsiveness let me quickly send messages over LTE without needing to scribble letters on the screen. And at times, my watch actually refreshed faster than when it was tethered to my phone. Just because you can use Apple Watch without your phone doesn’t make it an iPhone replacement. Even with watchOS 4, many third-party apps still depend on the phone for data retrieval, and things like checking my Twitter timeline, controlling my Hue lights, or peeking at my Ring video doorbell feed just weren’t possible. Developers have slowly been moving away from building Apple Watch apps—just last week Twitter disappeared from the store, and I had major issues with it even before that happened—but I’m hopeful LTE compels them to get back on board. Android Wear 2.0's Play Store is something Apple might want to borrow for watchOS 5. 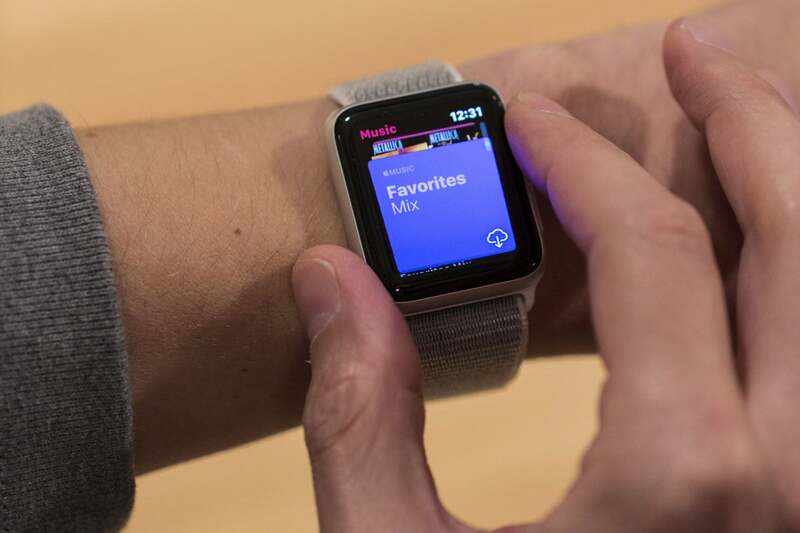 And here’s something that would help spur interest: an on-watch App Store. It’s one of the best features of Android Wear 2.0, and it would be awesome to quickly find and install a watch app while away from our phones. Also missing is a stock Notes app. While there are a few third-party options, I wanted a way to quickly ask Siri to take a note and have it sync back to my iPhone. As it stands, that can’t happen. I love having a list view for apps—seriously, I’m never using the honeycomb screen ever again—but the new Dock isn’t as great. It’s basically a task manager/app switcher, and I much preferred the original Glances or watchOS 3’s snapshots, which would let you get little bits of info without actually opening the app. With the new method, apps need to be launched before they’re updated, like the iPhone’s app switcher. Fast app switching isn’t nearly as useful on the watch as it is on the phone, and I’d like to see Apple revert to the old version in watch OS 5. Glanceability is important, and it’s not really there in watchOS 4. Say goodbye to the honeycomb screen forever with watchOS 4's list option. My favorite new watch face on watch OS 4 was already the Siri one (sorry Buzz and Woody), but Apple Watch Series 3 takes it to a new level. With LTE connectivity, the Siri face is even more useful when my phone’s not around, as it continuously shows a stream of news, weather, stocks, and photos. LTE and the Siri face didn’t seem to have a noticeable impact on battery life. Third-party app support would make the Siri face that much better, but something tells me we’ll have to wait a while before that arrives. But mostly watchOS is merely a step, not a leap, forward. There are still occasional bugs. For example, I couldn’t take a screenshot despite toggling, restarting, and re-pairing, and the side button is less useful than ever. 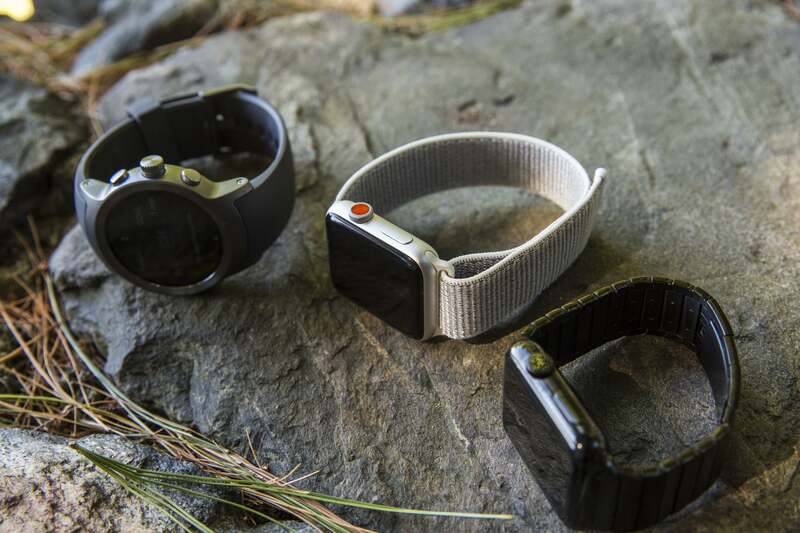 But you’re still not going to find a better wearable platform. Should you buy an Apple Watch Series 3? For my purposes, Apple Watch Series 3 is a software update and a couple apps away from being my dream device. But even in its current form, it’s miles ahead of its closest competitor when it comes to functionality and parsecs ahead with design. There’s a reason Apple hasn’t visually changed its watch in three generations: It’s nearly perfect. Even from far away, the Digital Crown's red dot will tell everyone you're special. You can quibble over price, but it’s a bit like comparing a Casio watch to a Tag Heuer or a Rolex. You can save a few bucks by getting a cheaper Android Wear or Fitbit watch, but you’ll definitely get your money’s worth by choosing an Apple Watch Series 3. At $329/$359 for the GPS model or $399/$429 for LTE, it’s hardly a luxury item anymore. Granted, you can spend $1,200 on a ceramic Edition or Hermès double tour, but the affordable entry-level sport models look and act just as good. 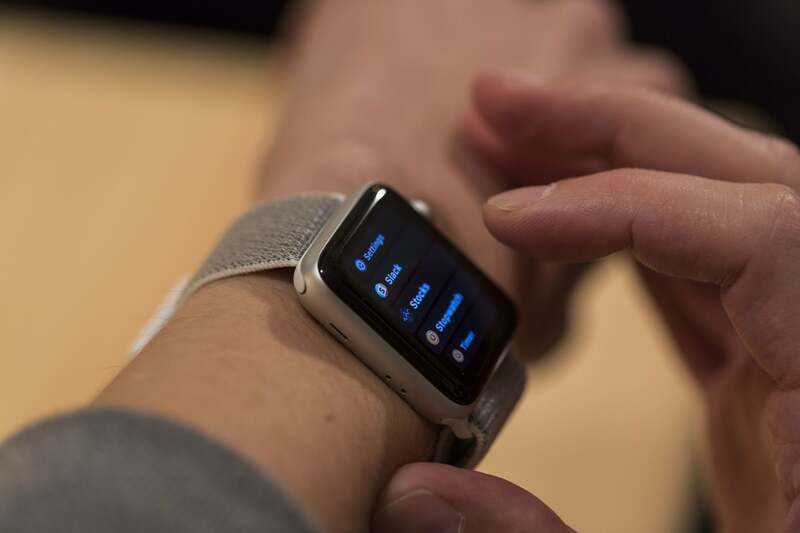 Apple is the only company committed to developing a solid wearable platform. Fitbit’s Ionic is initially underwhelming as a smartwatch, Samsung’s Tizen OS is still struggling with security and adoption, and we’ve yet to see a meaningful Android Wear 2.0 watch after six months of public availability. 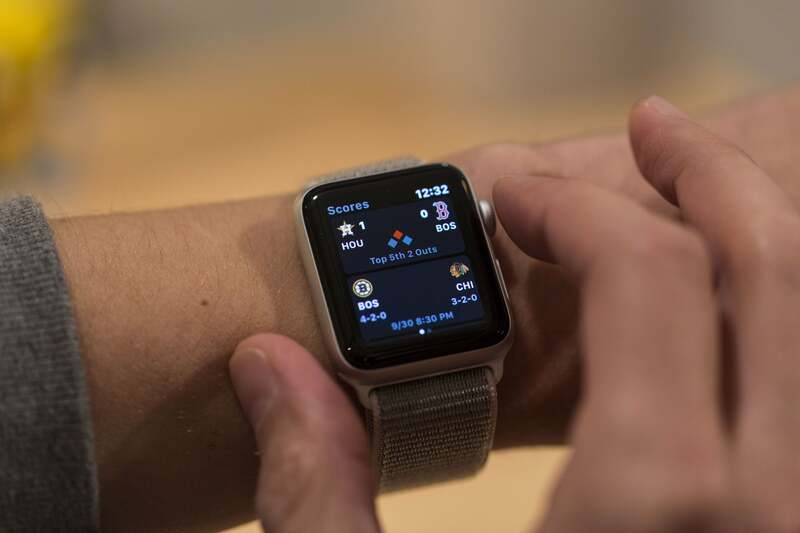 LTE has its issues—most of which will be snuffed out in the first software update—but Apple Watch Series 3 with LTE is the first cellular smartwatch to get it right. 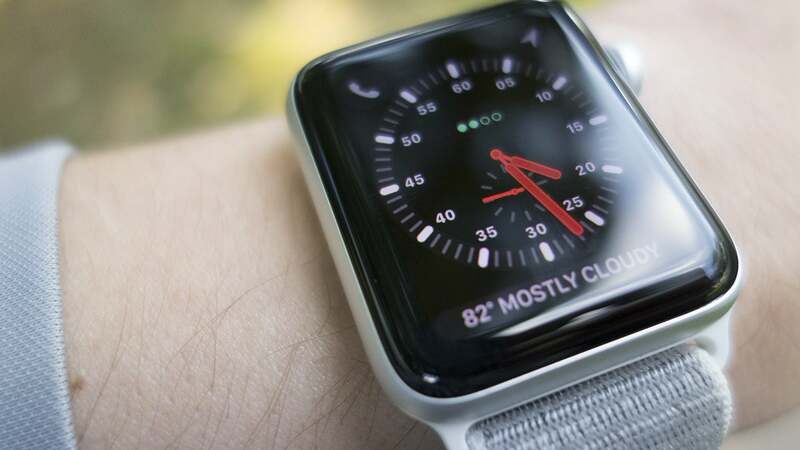 Apple Watch Series 3 might not be an iPhone replacement, but it’s the closest thing to an all-day, independent wearable you’re likely to find. And it’s the best remedy for Forgotten Phone Anxiety. Apple Watch Series 3 with LTE and cellular is the ultimate wearable and the smartwatch to rule them all. LTE gives Apple Watch the freedom it's always deserved. Incredibly fast chip and excellent battery life. Great health and fitness features.